Pershing is celebrating the sale of its new flagship at the Monaco Yacht Show 2016, exactly one year after its first official announcement. 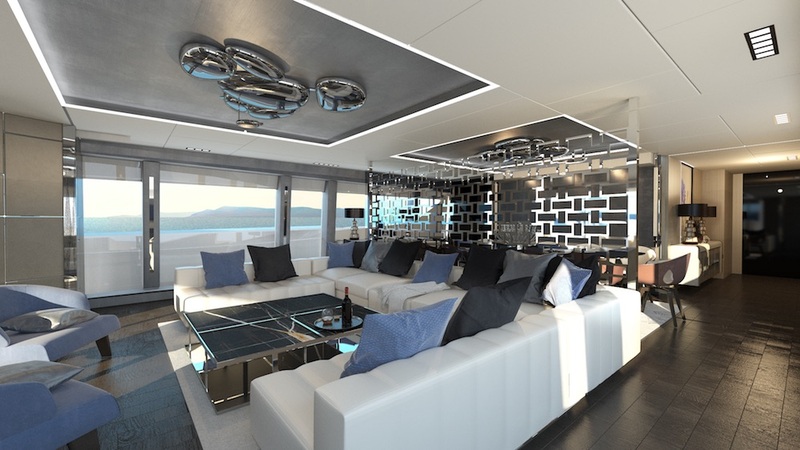 The Pershing experience means living, yachting and dazzling at faster than average speed. Thus, the Ferretti Group is already announcing the sale of its first Pershing 140, three years aheadof its actual launch scheduled for 2018 and exactly a year since the project was officially announced at the Monaco Yacht Show 2015. 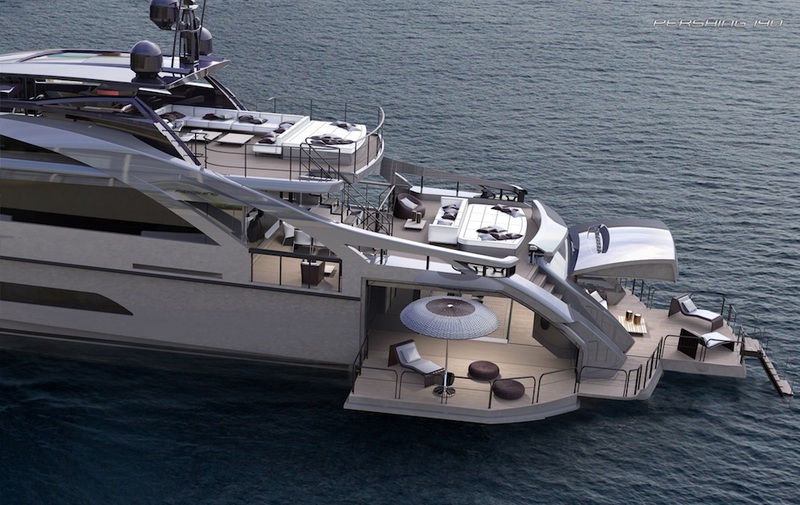 The new flagship of the fleet, the first to be built in light alloy, won the heart of a yacht owner from continental Europe who, like every Pershing enthusiast, has been seduced by its sporty, powerful lines and many innovative on-board features as well as its outstanding performance at every level. 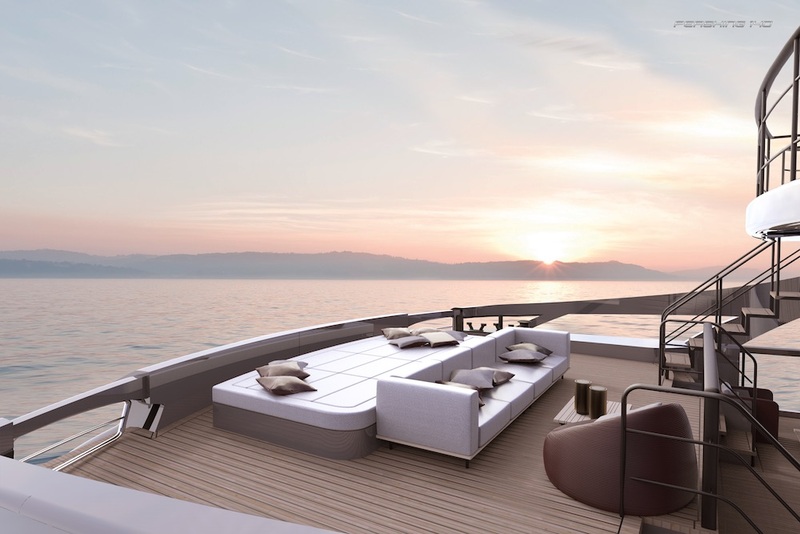 “The news of the sale of the first Pershing 140 makes us happy and proud for many different reasons – commented Mr. Alberto Galassi, Ferretti Group Chief Executive Officer. This new flagship shows above all that Pershing has entered a new era of design and construction, combining the drive for innovation, written into its DNA from birth, with the know-how gained during 30 years of being on the cutting edge. 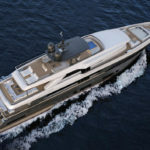 This sale is also the strongest confirmation of the success of the growth and development strategies for Pershing, Riva and Custom Line in the super yachts division. A booming market on which our iconic brands are achieving brilliant commercial successes. This is why we have invested heavily and will continue to invest in the Ancona shipyard, a dedicated centre of industrial excellence for the production of CRN, Riva, Custom Line and Pershing super and mega yachts. 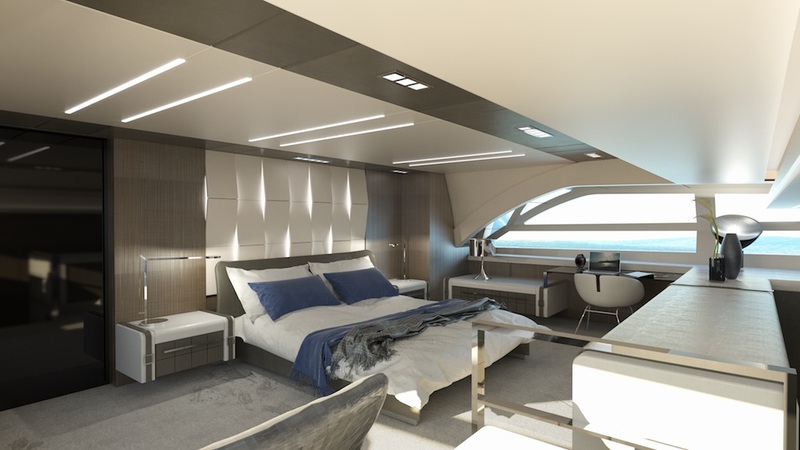 The new 140-foot yacht will be entirely built at this facility.” Pershing 140 is born from the collaboration between the Ferretti Group’s Product Strategy Committee, its Engineering Department and the architect Fulvio De Simoni. It features ultra-sleek lines to match the brand’s sporty spirit, that brings to mind the exterior of coupe cars, underscoring the racing character always so popular with Pershing yacht owners. Besides, its profile is enriched by several design elements, some entirely new and others displaying a family feeling with the brand’s latest models. 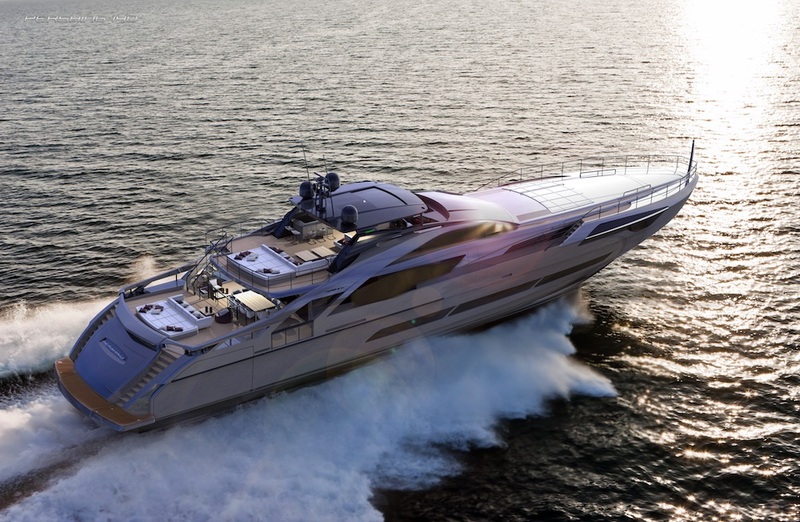 The first Pershing 140 will be fitted with four MTU M94 engines, 2600 HP each, enabling a top speed of 38 knots . Two alternative configurations are also available, both equipped with MTU 4000 M93L engines, 12V (for 3460 HP) or 16V (for 4613 HP). 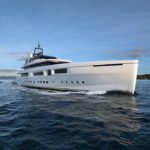 Thanks to the hydrojet drive, the new flagship will achieve top performances at cruising speeds, including at maximum speed, which can reach up to 24 knots with the 12V MTU, and up to 33 knots with the more powerful engines.